One man is under arrest and two women, as well as a pet dog, are dead following a drunk driving crash over the weekend in Bay Park. As reported by Fox 5, investigators believe that the three, who knew each other since high school, were traveling along Friars Road near the Pacific Highway around 7:30 a.m. on Saturday, when they swerved and struck a boulder alongside the road. The man who was driving was able to escape the wreckage as it burst into flames, killing the other two female passengers. The driver was taken to UC San Diego Medical Center for minor burns and abrasions. Police indicated that the young man would be placed under arrest for DUI following his stay in the facility. The flames from the crash also scorched a 10,000-square-foot area along the road. Unfortunately, scenes like this are an all too common sight across the state and the rest of the country. 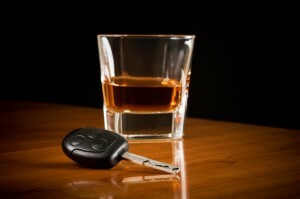 Nearly 30 people a day die due to drunk driving collisions. In a matter of seconds, one reckless driver’s actions can cost a family everything. In such instances loved ones can seek compensation for their pain through a wrongful death suit in civil court. While legal action can’t undo what happened, it can help provide immediate financial assistance to the victim’s family. For more information on drunk driving accidents and other personal injury related question, schedule an appointment with the Jurewitz Law Group today. Does Pushing “Last Call” Back to 4 a.m. Make California Roads Less Safe?